Home | Sunrise Adventure Treks & Tours - Mountaineering, Trekking, Tours, Air ticketing, Hotel reservation & Rent a car services. Gilgit Baltistan is not only home to gigantic mountains but also majestic meadows, lively lakes, gushing streams and the mighty cold desert. Are you a travel enthusiast? You are at the right place as Sunrise Adventure Treks & Tours offers affordable tours and best value for your money traveling as a group. Our landscape is dominated towering mountains including five eight thousander peaks, the land of giants Deosai, heavenly Fairy meadows and tallest waterfalls. With multiple booking options and gateways, our team works on your trip quickly and develop an itinerary with all your desired locations immediately. The support team of Sunrise Adventure Treks & Tours is readily available to assist you in planning and conducting your tour to give you the journey of a life time. Our team keeps on exploring new routes and high mountain passes in the untouched wilderness of Gilgit Baltistan for trekkers, explorers and travel enthusiast. .
Nepal, Thailand, Sri-lanka, Malaysia, Bhutan and Dubai are tourists’ top destination in Asia. Sunrise Adventure Treks & Tours offers hotel reservation services through out Pakistan & worldwide. Sunrise Adventure Treks & Tours is offering car rental services at very nominal rates all over Pakistan. Masherbrum is the 22nd highest peak on earth and the 11th highest in our country, Pakistan. Is the highest peak in whole of the Karakoram range. The Biafo Glacier is a 63 km long glacier in the Karakoram. K-2 Gondogoro la trek gives one of the greatest and loveliest mountain panoramas. Is the highest peak in whole of the Hindukush range. The mountain is very popular with organised commercial expeditions. Mustagh Ata (7546m, 24750ft) lies in western China. Khusargang peak in karakoram mountain rangein Shigar valley Baltistan. Laila Peak is one of the most beautiful mountains in Pakistan. Chogolisa is one of the most beautiful mountains in the Karakoram. Hunting permitted during the period 15th Nov till 31st Mar. The trout fishing spots in the North of Pakistan. The Cholistan Desert is fascinating barren landscapes of the Cholistan. Horse Safari in particular is one of the most exciting activities. Shipton Spire is an awesome peak in the Trango valley. Spantik Peak Base Camp is a popular playground for mountaineers attempting their first 7,000-meter peak in Karakorum. The Rakaposhi Diran base camp trek and Hunza tour is absolutely enthralling. The Haramosh Pass connects the Haramosh Glacier with Chogo Lungma glacier which lies in the North East. K-2 Base camp Gondogoro la trek gives one of the greatest and loveliest mountain panoramas on earth. Autumn in Gilgit Baltistan of Pakistan is something to behold. Discover the hidden treasures of ancient history and the marvels of nature of the northern valleys of Pakistan. At 3734m, this is the world’s highest polo field, set in a magnificent landscape of rolling pastures. Gasherbrum III is the third highest peak among the shining walls of the Karakoram. Festival on the Roof of the world where natural environs, landscape, privileged location in the highest mountains. Gasherbrum IV is the 17th highest mountain on Earth and the 6th highest in Pakistan. The Kalash have three colourful festivals to the Kalash these festivals are the culminations of religious life. We are Gondogoro Treks & Tours, proud to introduce our self as Pakistan’s leading tourist Company. Gondogoro Treks & Tours was established in 2004 with an objective to execute the needs of mountaineers, geologists, trekkers, tourists, and explorers. We aim to promote the culture of Pakistan by screening different cultural and festival tours. 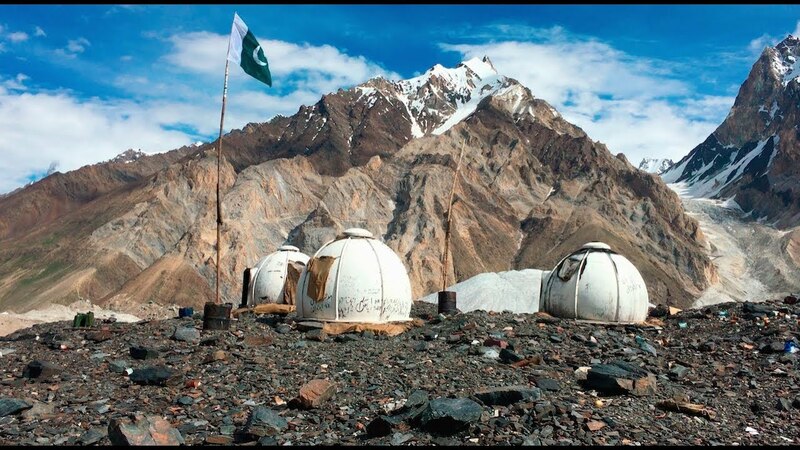 Gondogoro Trek & Tours Pakistan is known as one of the most trusted tourism company in Pakistan. We have been organizing various trips for travelers around the world for the last 13 years. We aim to deliver professional tourism service to promote tourism in Pakistan. Gondogoro Treks & Tours is a full commercial and registered tour operator. We have been providing tourism services for the last 18 years all over Pakistan. Gondogoro Treks & Tours offers hotel reservation services throughout Pakistan & worldwide. We offer very competitive rates for all hotels including small guest houses, home stays in the mountains and luxury five star hotels in cities all major cities and capitals of Pakistan. Gondogoro Treks & Tours also offer car rental services at very nominal and competitive rates all over Pakistan. Explore all the Northern areas of Pakistan like Hunza, Nagar, Khunjerab, Astore, Yaseen valley, Skardu valley and all the valleys of Gilgit Baldistan. We offer various type of wilderness safaris all over Pakistan which include Jeep safari in Kaghan, Hunza, Skardu, Swat and Chitral etc. Join us for camel safaris, Yak safaris and Horse safari all over the Pakistan. Pakistan is bestowed with deserts that are colorful and very captivating. You will discover the isolated villages in the wilderness of deserts riding on the back of Camels and jeeps. We camp near the local settlements to give you a close look into the life of the native people. Explore with us the places that are exclusive and undeniably untouched by the present roads or communities. Dedicated trekking guides and porters will accompany you in the high mountains to make your trekking as relaxed as possible. We keep on exploring new routes in trekking that are unique and remarkable. Pakistan is blessed with historical and natural beauty. A great number of tours we organize are all-purpose tours for trekkers, explorers and mountaineers. We offer comprehensive itineraries, which can be altered as per client’s interest and requirements. Our packages are not only restricted to the Northern Areas of Pakistan in general. We take with us trips to all destinations around Pakistan. This includes exploration and sightseeing tours, hiking, Bike tours, Jeep Safaris and many short Trekking tours. Winter in the northern areas of Pakistan is long, exquisitely beautiful, full of snow and attracting. The Southern areas of Pakistan are full of cultural history. In winter the temperature is excellent in the lower areas. In winter we organize fishing trips, boarding trips, river rafting and hunting tours. Trophy Hunting of Ibex, Markhor, Marco Polo Sheep is arranged in Northen areas of Pakistan and Wild Boar hunting in Southern region. We also arrange skiing events. WE arrange skiing evnts in Naltar, Deosai, Shimshal, Biafo-Hisper, Snowlake and Hushe valley. Spring is welcomed in most parts of Pakistan with cultural festivals and celebrations. We arrange events where we become a part of these festivals, celebrations and develop aft an itinerary according to clients desire and requirements, Our most popular Spring trips are Hunza Valley Spring Tour, Kalash Valley Spring Festival, Kite Flying Festival in Lahore and Islamabad. Chilimjusht Spring Festival, in the middle of May lasts for four days. The spring festival honors the fairies and also safeguards the goats and shepherds before they go to the pastures. Before the festival the women and girls gather from all over the valley and decorate their houses. Inside the houses local wine and milk products are shared. The women then sprinkle milk on Goddess “Jestak” the protector of their children and home. The festival begins at Rumbur where the Shaman (soothsayer) and tribal chiefs lead a procession to the “Malosh altar”, high above Grum, to sacrifice goats to the Gods. Later the festival moves on to Bumboret and ends up at Birir, a few days later. We are tour operators who have been offering annual fixed departures for all 8000 m peaks in Pakistan since 2004. We offer K2 (Choghori) (8,611m) Expedition, Nanga Parbat (8126 m) Expedition, Gasherbrum I (8,068m) Expedition, Broad Peak (8047m) Expedition and Gasherbrum II (8,035m) Expedition in the 8000m peaks category. Similarly, for 700m and above peaks, we offer Gasherbrum III (7,952m), Gasherbrum IV (7925 m), Chogholisa Expedition, Diran Peak Expedition, Masherbrum (7,821m), Muztagh Ata Expedition, Muztagh Tower Expedition, Passu Peak 7284m Expedition, Rakaposhi 7788m Expedition, Spantik 7027m Expeditions. We will arrange air tickets, and we have best airfares for all flight operators. You simply make a telephone call or email us and get a quote. Gondogoro Treks and Tours are one of the top tour administrators in Pakistan; we arrange ticketing for meetings, corporate visits, commercial visits, family occasion and event, school seminars visits, educational visits in Pakistan. We have picked the best places with best visit operation experts in Pakistan to outline your residential and inbound visit/travel schedules. Our travel and visit Pakistan bundles incorporate travel administrations, Adventure occasion bundles, Cultural Holiday bundles, Beach Holiday Packages, Hills visit bundles, Wildlife Tour Packages, Rafting Tour, Trekking visits and so forth. Our visit bundles are planned along these lines, that you do not confront any inconvenience amid your visit in Pakistan. Our site packages are centered on necessities of visitors; We comprehend inclination and feelings of sightseers with seasons and climate positions. I went with them for k-2 base camp trek and found them highly professional and mountain enthusiast people. They were loving and caring and provided best services in case of food, trekking support, guidance and information.